This is one of the best tools that we highly recommend. 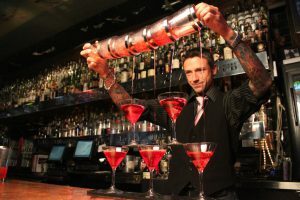 Being able to see what you are mixing and using the patented pin to measure really helps when you are a new bartender. 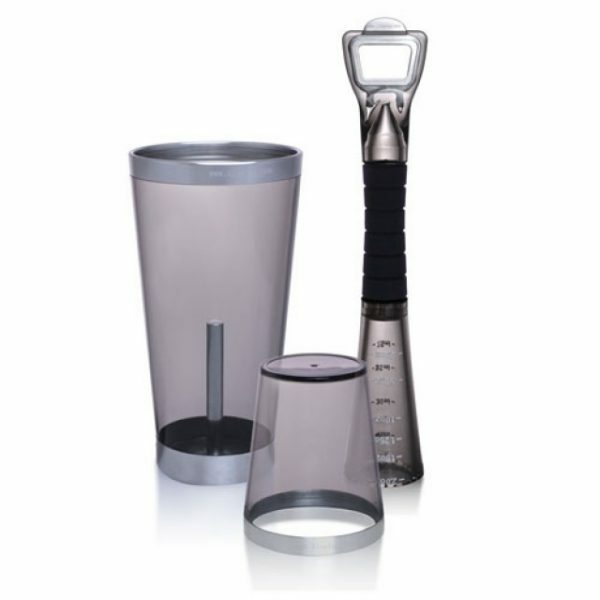 Plus the 6 in one tool acts as a shaker tin, ice scoop, bottle opener, can opener, jigger, and muddler to give you a great Boston shaker set. You will def impress with this toolset. Watch this video of a hands-on demo. awesome tools – love mine, thank you.